ALLEGRA BOVERMAN/Staff photo. Gloucester Daily Times. Gloucester: An immature harbor seal pup has been resting on Pavilion Beach next to the BIrdseye Building on Thursday. 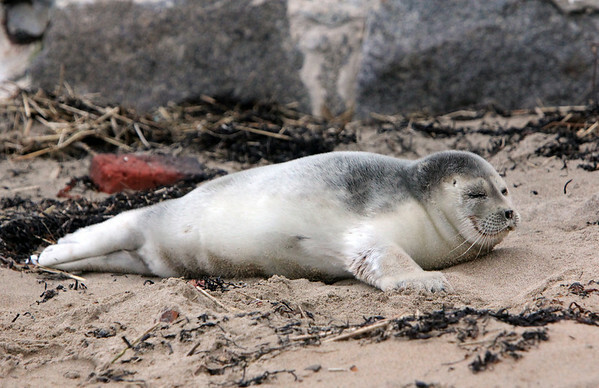 Volunteers from the New England Aquarium have been on hand to make sure people who come to the beach are leashing their dogs and keeping a 150-foot berth around the healthy, chubby seal, who is simply waiting for its mother to return from feeding to rejoin it.